In honor of Social Media Week, it’s once again time to announce the annual Cyber Dating Expert Top 10 Mobile Dating Apps. The 2012 list of the 10 Best Dating Apps selected by CyberDatingExpert.com now includes social discovery apps, which are becoming the new trend for dating and social networking. With the release of the iPhone 5, more singles than ever can have the opportunity to meet more quickly and on-the-fly. GPS or location-based dating apps are no longer for just hookups anymore. 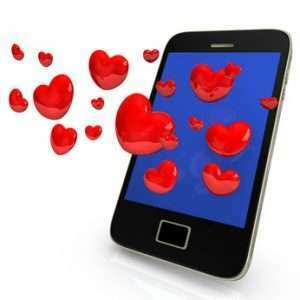 According to Juniper Research, the mobile dating market is expected to be worth $2.3 billion by 2016. Earlier this year, online dating expert Julie Spira held the first-ever Mobile Dating Bootcamp to help singles find love more quickly and from the convenience of their mobile phones. 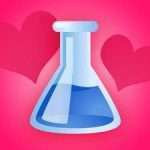 Since last year, the popularity of social discovery apps are taking center stage and most apps let you sign up directly from their Facebook page, so without further digital ado, here’s our list of the best mobile dating apps for 2012. Badoo has a community of over 150 million people worldwide using their mobile app. In March of 2012, they officially launched in the U.S.? Free users can contact up to 10 people a day. Premium users can use “Superpower” features including Spotlight, where you can be featured more prominently, and “Spotlight”, which enables you to rise to the top of a search listing. MeetMoi’s mobile app was first launched in 2010. Over three million users of this popular app can use their free services, including creating a profile, sending winks, and replying to messages. Users receive a push notification when there’ s a match nearby. If they choose to accept the match, they can chat for up to 60-minutes before deciding if they want to meet in person. Premium users can chat with all users and see who’s viewed their profile. Facebook Connect allows users to see if they have any Facebook friends in common. Their new “Wingman” feature makes introductions for groups of people, taking advantage of the new trend of group dating. OkCupid’s Locals launched in 2011 to help singles meet in-real-life. Their location-based app combines a Twitter-like broadcast feature with a FourSquare type location database. Users can broadcast their intentions, such as meeting at a bar or a sporting event, which will appear on the mobile phones of singles near by with like-minded interests. Singles can meet people near by and receive suggestions from their database. It’s flirting on-the-fly. Although two-thirds of their mobile users activate the GPS-positioning feature, users do have the ability to turn off the GPS functionality. Grindr is the #1 location-based mobile only app for gay, bi and curious guys with over four million users in 192 countries around the world. Over 1.1 million users log on to the Grindr app on a daily basis. Free members can view 100 guys in their area. Grindr Xtra,? the premium paid version features a push notification even if the app is closed, has an online only view to see who’s currently online and does not include banner ads. Other premium features include “Profile Swipe,” where you use your left finger to display the next guy or right finger to view the previous profile, and the ability to view 300 profiles in the area. Zoosk is the top grossing social networking app in Apple’s iTunes store. Their service is available in 25 languages with members in over 70 countries. Since last year, Zoosk’s mobile traffic on HTML5 and mobile apps has increased by 148%, with 15% of their users engaging through their mobile apps. More members (55%) are using the Android app as compared to iOS (45%). 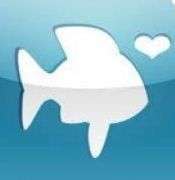 Plenty of Fish launched their mobile app in 2012. To date, over 900,000 people use POF apps each day in the United States. POF generates over 5 billion pageviews/month and 70% of their members who accessed POF.com did so from a mobile device. The app is completely free and is available in five languages, including English, French, German, Spanish, and Portuguese. POF has jumped on the local events bandwagon and sends push notifications of events in their members’ local area. Their Android app has a “Places” feature to provides users with a list of potential date hot spots. Match mobile was launched in 2007 as a mobile web feature. They’re available on a wide variety of platforms, as well as an HTML5 site to provide access to iOS devices. Free features allow members to wink, create and view profiles, and add users to their “Favorites.” In September of 2012, they created their Stir events mobile site for premium users. Other Premium features include reading and writing emails, and the “Who’s Viewed Me” feature. Users can sign up on Facebook and Android users can say “No Thanks” as well as view an enhanced photo gallery. 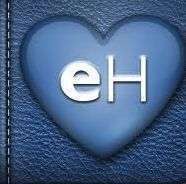 The eHarmony iPhone app was launched in August, 2010, but what makes them stand out on the list is their stunning eHarmony HD iPad app. In May of 2012, eHarmony added retina support for their iPad app. An average of 471, 338 mobile sessions take place among their apps every day, a significant growth since 2011.? Free service included the ability to sign up and complete their relationship questionnaire, as well as receive daily matches. Premium members can view their matches’ photos, send and receive email, and see when a match last logged on. In October, they will be launching a new enhanced look and feel for their mobile apps. MeetMe is a leading social network and social discovery app for meeting new people. Although not entirely a dating app, it’s the #1 top grossing Android app with over 40 million members worldwide and one-million daily active users in the U.S. MeetMe reports that 60% of their traffic comes from mobile with an even distribution of men and women. The app is free to use with features including “Locals” to find singles close by and “Ask Me.” Premium services include the ability to purchase credits to supercharge the social discovery experience, including featuring a photo in a spotlight bar. Users can sign up on Facebook. The app is now available in Spanish and Portuguese. Tagged is a social network and social discovery app to meet new people, make new friends and even find love. Their mobile app has been downloaded over six million times with over 300 million profiles to browse. Free membership allows for unlimited messaging, chatting, winking, and advanced people browsing, both worldwide and locally.Premium members can buy gold, send gifts and play in-app games. Users can login on Facebook and play an online game or share their interests. Tagged was listed in the Forbes “Top-100 Up-and-Coming Companies” in 2011. Is your favorite mobile dating app on the list? If not, feel free to add it to the comments. CyberDatingExpert.com is a leading online dating advice site created by mobile dating and online dating expert Julie Spira. Spira was an early adopter of the Internet and has been an expert in the dating and social networking field from dial-up to mobile. She’s the host of Mobile Dating BootCamp and and creates irresistible online dating profiles for singles on the dating scene.? Spira reports on the latest trends in the online dating, mobile dating and the social media industry. Shall add DroidMsg dating app, is kind of free dating service for all around the world. Free to chat, email what ever you like.